Gideon Kirby loves science, and hunting down proof of past lives is a joy he won't willingly give up. But his scientific leanings are being challenged both by his personal beliefs and by local smugglers in the Devonshire countryside. And every day his sister's illness becomes more desperate, her care growing more demanding. Adding a viscount's daughter to the mix is a complication Gideon never expected-especially since he must stay far away from this young woman he's falling for in order to protect his beloved sister's secret. When a mysterious stranger visits the village, that secret will be exposed, no matter how Gideon fights. Then tragedy strikes in a smugglers' cave. And the threat of scandal may lead to broken hearts and passionless propriety. Will the shaky bond these two have nurtured be strong enough to overcome their differences-or will the trust they've withheld from each other tear three lives apart? 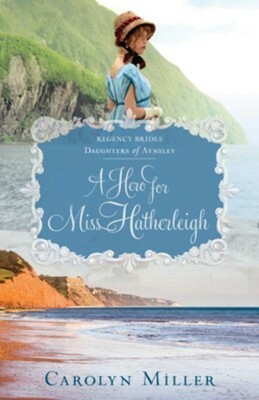 I'm the author/artist and I want to review A Hero for Miss Hatherleigh - eBook.